Latest organisations are listed below, click on an organisation name for full details or use the menu to view individual organisations. 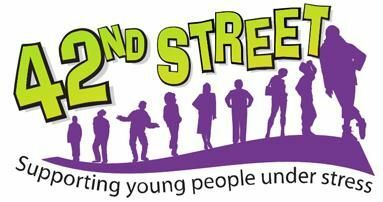 At 42nd Street we believe that a range of different approaches can be effective in responding to young people's mental health needs and this is reflected in the variety of services we offer.As well as therapy, counselling and individual support, we offer a wide range of youth work interventions including drop-ins, groups, arts-based projects and a youth volunteering project. Aawas is a voluntary organisation representing the voice of Asian Women in Hyndburn, particularly those working as carers for people with physical and mental disabilities. Also offers Asian Women Carer Group. Accent North West is part of the Accent Group, a national community investment organisation working to enhance the quality of life and opportunities enjoyed by local people through the provision and management of appropriate housing, community facilities and support services.. Officer a range of courses throughout Hyndburn, Rossendale and Ribble Valley at campus or community venues that is spread out in different sites, bringing easily accessible learning to the heart of the community in a relaxed and supportive environment.Phone or refer to website for details of courses currently on offer. Offer practical advice, support and information to those diagnosed with Autistic Spectrum Disorder.Support also extends to their families, carers and professionals involved, by providing a telephone helpline to promote better understanding of Autistic Spectrum Disorders within the community. Registered charity providing a helpline (Elder Abuse Response) offering information, advice and support for those who suspect that an older person is beng abused or for older people who are being abused.The helpline number will not appear on the phone bill. Action on Hearing Loss operates a day care and outreach service for deaf and deafblind people living in and around Blackburn and East Lancashire.The organisation uses outreach and floating support to help people live as independently as possible in their local community. Adfam is a national charity working with families affected by drugs and alcohol and is a leading agency in substance related family work. They provide a range of publications and resources for families about substance and criminal justice and operate an online database of local support groups that helps families hear about and talk to people who understand their situation. East Lancs Advocacy is an independent charity offering adults in East Lancashire a free advocacy service to support the in their involvement with Mental Health and Social Services.The centre opens from Monday to Friday from 9:00am - 5:00pm. Local federation of national Age Concern.Services include Aging Well Resource Centre, Ashiana, culturally sensitive day centre at 21 Daneshouse Road. Al-Anon is a network of self help groups offering understanding and support for families and friends whose life is or has been deeply affected by someone elses drinking. .
Support for alcoholics.For local meetings in East Lancashire click here.